Redmine 3.2.0 version has been just launched. Redmine is the process, project and task management open-source tool that many companies and organisations are already using around the world to perform and track their daily activities. Well, this major update brings new reasons for you to get on the Redmine user community. Although the new version brings 33 new features and many other bug fixes and resolutions, in this post I will highlight and describe the most important. It was long desired and has finally arrived. Redmine’s layout is now “responsive” so that it is perfectly molded to tablets and smartphones. 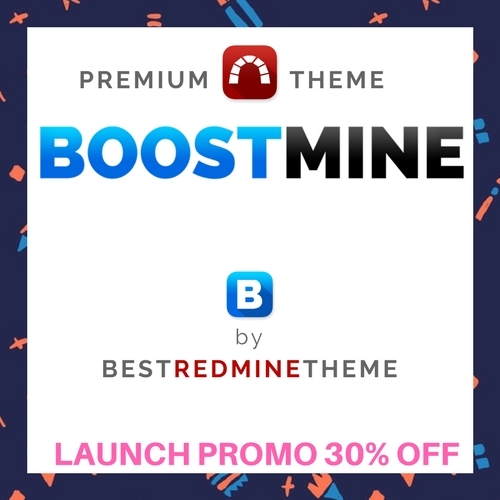 In addition, the developers promise us that this adaptation is independent of the template you’re using; that means all other templates we may use with Redmine will also show a responsive Redmine. In the tasks lists, we can have several numeric fields (like estimated hours, spent time, or any other numeric custom field we could have created). Now we will be able to show the totals of each column. We can see it above the petitions list. Gantt: at a certain zoom level the day of the month is shown in the table. 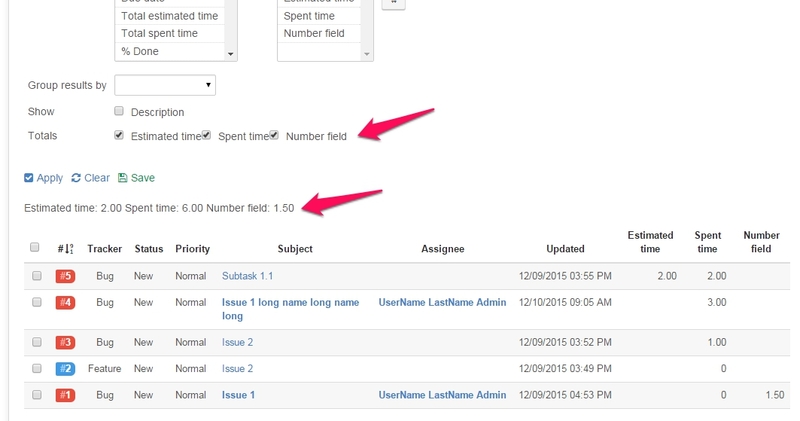 User profile: on the user profile we now find links to user’s assigned and created tasks. One of the great entry barriers that may have a systems administrator or manager to decide whether to transfer tasks’ management to Redmine is the problem of incorporating the legacy system to the new system. This decision is much easier now: in this new version 3.2.0, Redmine has a CSV tasks importer. We have desde esta nueva versión 3.2.0 de un importador de peticiones desde CSV. We have found that this importer works very successfully and has a wizard to match the columns in the spreadsheet to fields in Redmine. Of course, if you are managing your tasks in Excel, you can easily convert the file into CSV and then import it to Redmine through the importer. Custom field format with possible values stored as records. Issue categories: when changing the project to a task, the issue’s category will be kept if there is an identic category on the project of destination. Default value for “Target version”: when creating issues the dropdown targets is empty. There is now a way to set the default selected target. New issue initial status in workflow: so far all tasks in Redmine had to start from the first state in the workflow that had been assigned to such a task type. From now on we can decide that the new tasks begin “in the middle” of a workflow, not at the beginning of it. Issue description to be searchable as a filter: on the tasks list, we can create a new filter to search certain words in “description” field. File extensions permitted and prohibited: you can set which file extensions you can upload or prohibit in Redmine. For example, the administrator can prohibit to upload .exe or .swf file types, as an added security measure for the system.